A recent study of ACR-accredited facilities found that 79% of all unit accreditation failures were due to positioning. In 2015, the ACR found that, of all clinical images which were deficient on the first attempt at accreditation, 92% were deficient in positioning. A 2017 Rush Medical College study found that 12-14% was the ideal recall rate, up from current guidelines of 5-12%. Mammography outcome data is vital to the success of your imaging practice. MagView recognizes this need, and our mammography tracking software is designed to collect and present this data as clearly and efficiently as possible. Whether for MQSA requirements or accreditation, MagView continues to be at the leading edge of the breast imaging world. 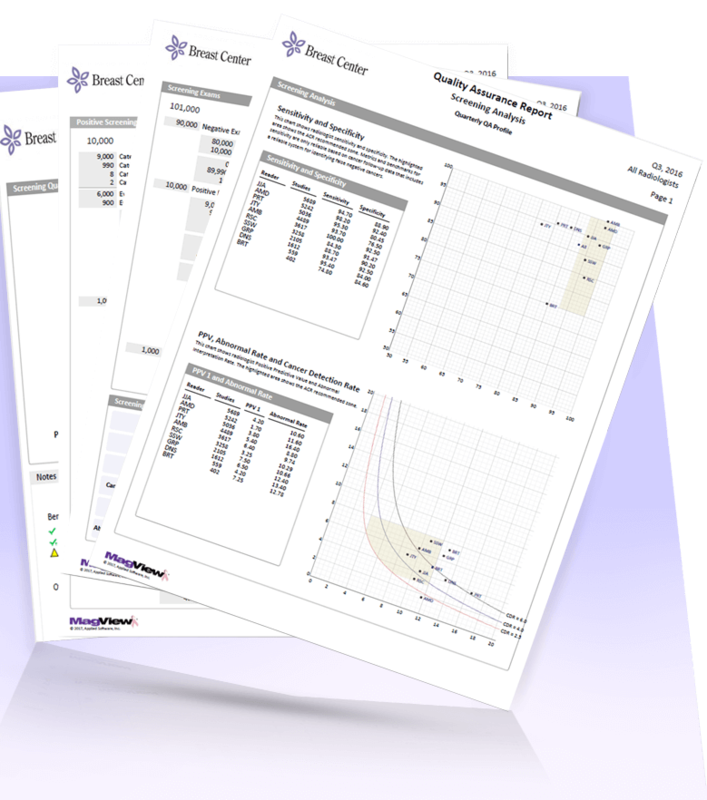 Can you easily obtain outcome data and statistical analysis from your current system? Are you confident that your audit will run smoothly without any red flags or questions from the auditor? Are you still tracking outcomes and calculating statistics by hand or by spreadsheet? Does your system provide a built-in feedback loop for readers or a teaching tool for residents? Is your facility vying for a Breast Center of Excellence or NAPBC accreditation? 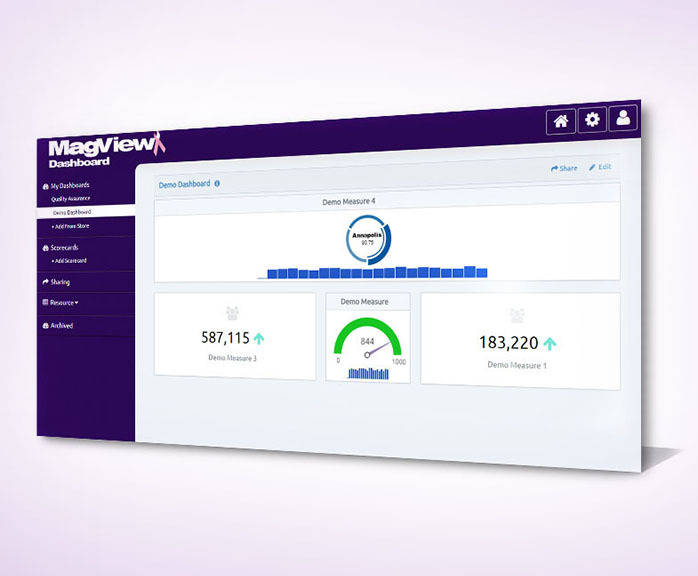 Regardless of your workflow and where your finding reports are created, everyone uses MagView for tracking and outcome statistics. That is why our Quality Assurance (QA) report is so robust. Our latest version provides performance reporting, which includes detailed screening outcome statistics, as well as a readers worksheet. This worksheet provides a visual guide to where your readers lie in regards to PPV and recall rates. 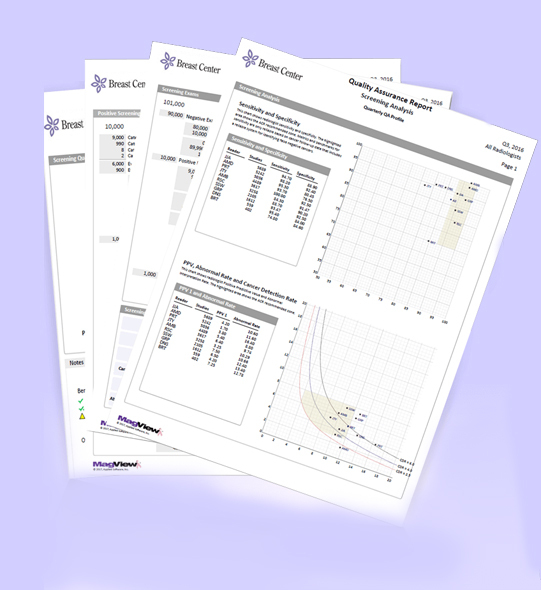 We now also include BCSC benchmarks alongside the ACR targets. This is why MagView has been the trusted source in mammography information systems for over 27 years! Your outcome data is important to your practice, so why not have a way to view your updated statistics in real-time? The QA Dashboard provides just that – a constant visual aid to track your team’s numbers at any point throughout the year. This completely customizable tool can be viewed anywhere you have internet access, allowing you to track multiple locations (or just one) from miles away. Previously, there was no tool available to allow radiologists to review past cases with known outcomes. That’s why MagView created Re•View. The goal is to bolster existing decisions and apply corrective action to others with the aim of improving recall rates and patient outcomes. This has already been put to use as a teaching tool for residents as well. 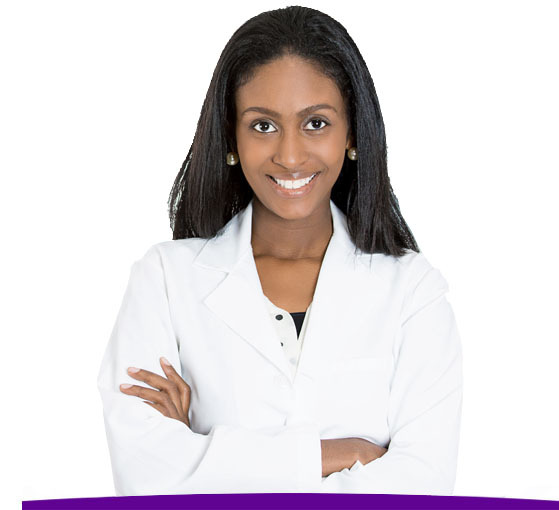 No other mammography information system offers this capability. 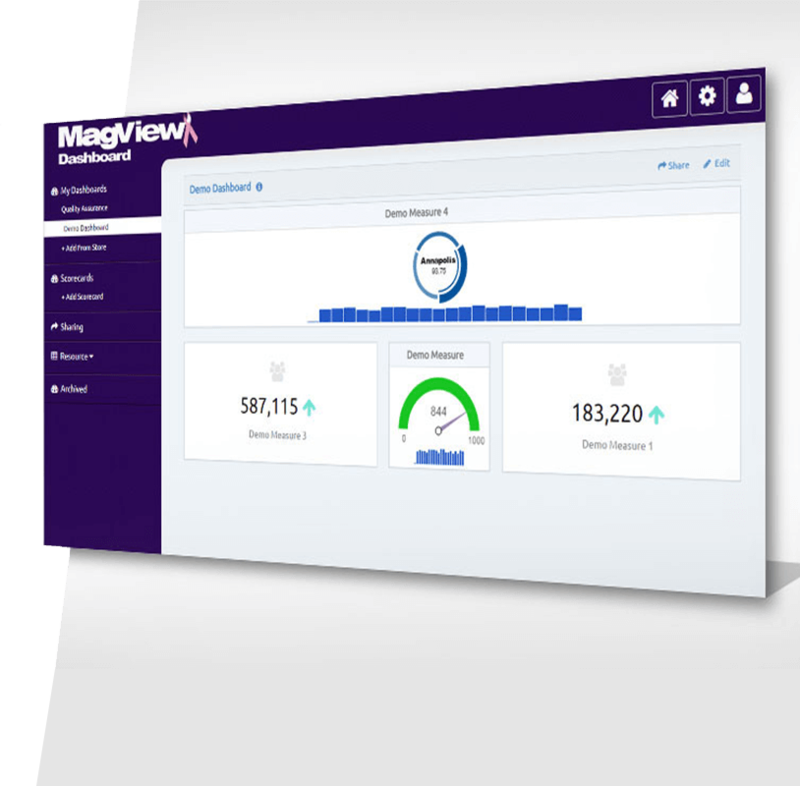 MagView was able to help us get a report modified for our new PACS vendor. They were professional, prompt in attention to our issues, and was able to get everything working correctly. They made the process much smoother. Thanks! We were the first to market with our Structured Reporting system.